Welcome to a new edition of the Orvis News Friday Fly-Fishing Film Festival, in which we scour the Web for the best fly-fishing videos available. We have a great selection this week, seventeen videos focused on the Northern Hemisphere and mostly from North America. Interesting that there’s just one from New Zealand, Argentina, or . 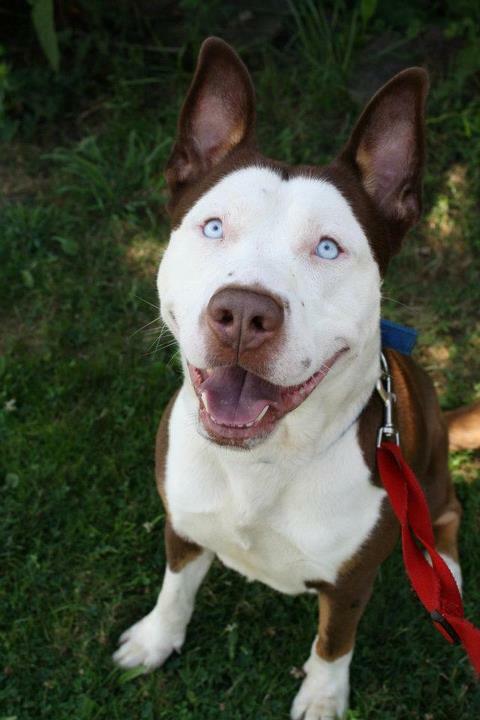 . .
A cross between a Pit Bull and a Husky results in this handsome Pitsky. A fascinating photo essay on the Huffington Post discusses the rising popularity of mixed-breed dogs, and it offers a look at 19 different cross-breeds that result in interesting combinations of. . .
but a big bonefish will do this to even a hardened veteran. People pray for a number of different reasons: for sick people to get better, for safe travels to far away places, for a lottery ticket to be the Big Winner. Before our boat left the Kaunakakai Harbor on. . .
Maureen Burns thought that she was losing her dog, Max, because he was acting so sad and listless. But Max wasn’t dying. In fact, he was sad because he sensed something about Maureen that. . .
Here’s a photo that Orvis Vice Chairman Dave Perkins sent me the other day, taken during a party over the holiday season. That’s Dave sitting on the floor in the lower left, and. . . This is a real trout species. Which one isn’t? Welcome to another edition of our trivia challenge, where we test your knowledge of all things fly fishing and where you might learn a thing or two about this sport we love. This week, we’ve got a classic hodgepodge-style quiz, which covers a. . .
Chaya Springer, left, holds her dog, “Debbie,” as Danielle Hetmanski helps her get used to her new prosthesis. Last spring, Debbie the Pit Bull was found lying on the ground in Hialeah, Floridawhere Pit Bulls are banned, by the wayin rough shape. Her right front paw had been severed, and the wound was. . . I got a Facebook message the other day from Dutch angler Kelvin Leenheer. He’s one of the hundreds of Facebook friends I have whom I’ve never actually met, and it’s cool to have killer images like this just appear on my screen out of nowhere. Here’s the message that came with the photo: . . .
We post a lot about the great and often heroic acts of service dogs, but it’s always wonderful to find a specific, personal story to drive the point home. Tim Mullen, of Ventura, California, has suffered from . . .
Our colleague Simon Perkins recently honeymooned in New Zealand with his wife, Els, and he captures this amazing footage. Here’s how he explains it: . . .